In the United States, natural-gas production from shale rock has increased by more than 700 percent since 2007. Yet scientists still do not fully understand the industry’s effects on nature and wildlife, according to a report in the journal Frontiers in Ecology and the Environment. As gas extraction continues to vastly outpace scientific examination, a team of eight conservation biologists from various organizations and institutions, including Princeton University, concluded that determining the environmental impact of gas-drilling sites — such as chemical contamination from spills, well-casing failures and other accidents — must be a top research priority. With shale-gas production projected to surge during the next 30 years, the authors call on scientists, industry representatives and policymakers to cooperate on determining — and minimizing — the damage inflicted on the natural world by gas operations such as hydraulic fracturing, or “fracking.” A major environmental concern, hydraulic fracturing releases natural gas from shale by breaking the rock up with a high-pressure blend of water, sand and other chemicals, which can include carcinogens and radioactive substances. 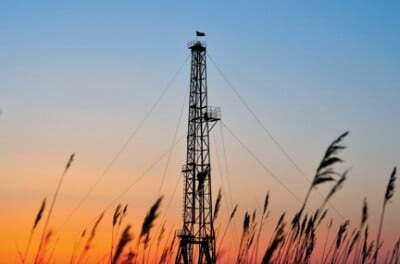 The researchers found that there are significant “knowledge gaps” when it comes to direct and quantifiable evidence of how the natural world responds to shale-gas operations. A major impediment to research has been the lack of accessible and reliable information on spills, wastewater disposal and the composition of fracturing fluids. Of the 24 American states with active shale-gas reservoirs, only five — Pennsylvania, Colorado, New Mexico, Wyoming and Texas — maintain public records of spills and accidents, the researchers report. “The Pennsylvania Department of Environmental Protection’s website is one of the best sources of publicly available information on shale-gas spills and accidents in the nation. Even so, gas companies failed to report more than one-third of spills in the last year,” said first author Sara Souther, a postdoctoral research associate at the University of Wisconsin-Madison. One of the greatest threats to animal and plant life identified in the study is the impact of rapid and widespread shale development, which has disproportionately affected rural and natural areas. A single gas well results in the clearance of 3.7 to 7.6 acres (1.5 to 3.1 hectares) of vegetation, and each well contributes to a collective mass of air, water, noise and light pollution that has or can interfere with wild animal health, habitats and reproduction, the researchers report. The chemical makeup of fracturing fluid and wastewater is often unknown. The authors reviewed chemical-disclosure statements for 150 wells in three of the top gas-producing states and found that an average of two out of every three wells were fractured with at least one undisclosed chemical. The exact effect of fracturing fluid on natural water systems as well as drinking water supplies remains unclear even though improper wastewater disposal and pollution-prevention measures are among the top state-recorded violations at drilling sites, the researchers found. The paper’s co-authors also include researchers from the University of Bucharest in Romania, Colorado State University, the University of Washington, and the Society for Conservation Biology. The work was supported by the David H. Smith Fellowship program administered by the Society for Conservation Biology and funded by the Cedar Tree Foundation; and by a Policy Fellowship from the Wilburforce Foundation to the Society for Conservation Biology. Souther, Sara, Morgan W. Tingley, Viorel D. Popescu, David T.S. Hyman, Maureen E. Ryan, Tabitha A. Graves, Brett Hartl, Kimberly Terrell. 2014. Biotic impacts of energy development from shale: research priorities and knowledge gaps. Frontiers in Ecology and the Environment. Article published online Aug. 1, 2014. DOI: 10.1890/130324.